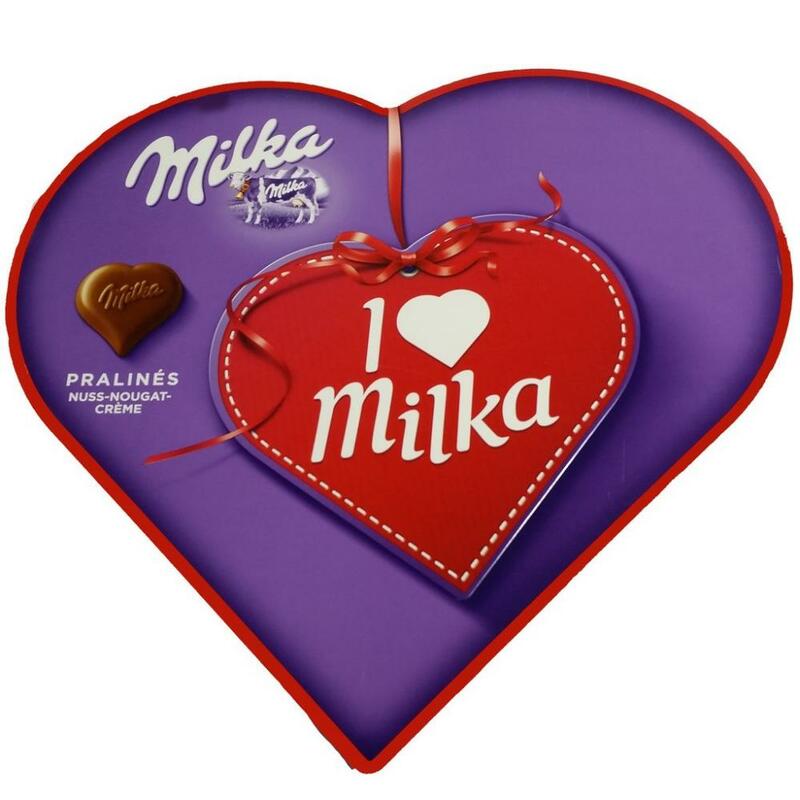 Chocolate Milka LOVE Pralines 8 units of delicious morsels of Milka chocolate, filled with a delicious mouse of almonds. A heart-shaped box ideal for giving and showing affection. A perfect detail for weddings, baptisms and communions.